This article was published March 5th. Our experience coincided with the death of Billy Graham, whose home was once on the property. Afterwards, numbers went to the Graham Library to join over 13,000 bidding "goodbye" as we quietly filed past his wooden coffin. Bill Clinton and George W. Bush were present earlier; the president and vice president came for the final service; Barack Obama declined any attendance. The memorial program handed my wife and me at Billy's coffin (crafted by prison inmates), said, "Blessed are the dead who die in the Lord ... that they may rest from their labors, and their works follow them" (Rev. 14:13, NKJV). It's amazing how his legacy permeated everything at the preceding Roundtable. What follows is a distillation of five significant themes. Rejection of biblical absolutes is pandemic yet Billy's personal charge to me four decades ago was recounted for its prophetic significance. He looked me in the eyes and charged me, "Stay in the Book! Stay in the Book!" How relevant in times of Postmodern relativism when "truth is whatever is true for you." Jim Bakker reminded us of Billy's compassion for the lost, broken and hopeless. "I was in prison for five years, sick, depressed and cleaning toilets when he visited me, threw his arms around me and said, 'Jim, I love you!' Upon my release, Ruth had me speak in their church, then over for lunch with the family." May our departed "four-star general" stir us up to remain faithful to Scripture and to love others. The late Bob Jones once spoke prophetically that something significant would occur after five key leaders died. We recalled four: Oral Roberts, Bill Bright, Kenneth Hagin and now Billy Graham. Billy's statesman/ambassadorial anointing to reach the 170 easily overlooked nations struggling economically. They are receptive to servant leaders proclaiming the gospel alongside balanced biblical principles of governance removing a poverty mentality and assisting in wealth creation. 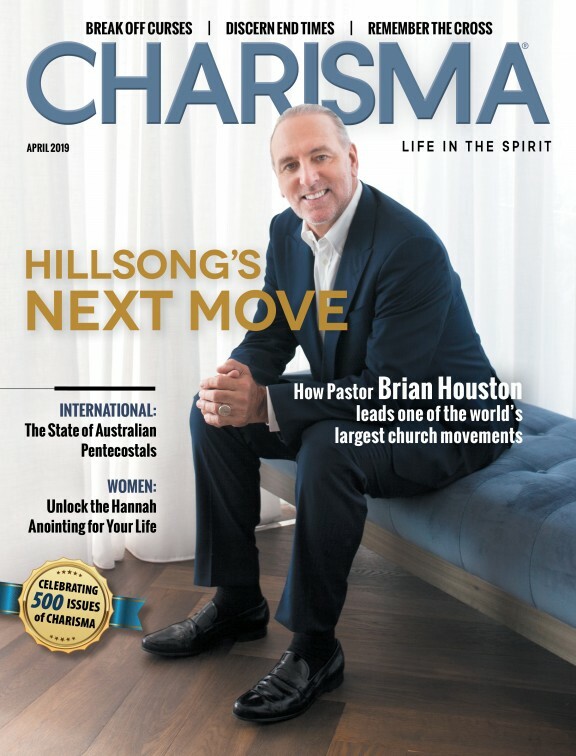 Billy's passion for every Christian to be personally involved in lifestyle evangelism. "My one purpose in life is to help people find a personal relationship with God through Jesus Christ. No more procrastination, fatalism and deception regarding everyone engaged in the Great Commission! "Do you not say, 'There are yet four months, and then comes the harvest?' Listen, I say to you, lift up your eyes and look at the fields, for they are already white for harvest" (John 4:35). Anne Graham Lotz stated, "You can't leave it up to Billy Graham to share the gospel anymore! That is our privilege and responsibility to be sharing the gospel with others!" Rick Joyner said, "The Third Great Awakening will not come unless we honor the fathers!" Recovery of the high calling of fatherhood in the family and the church is a nonnegotiable. We're painfully aware of the immorality, violence and lawlessness resulting from fatherlessness. It is a cancer metastasizing in our culture from disobeying the commandment, "Honor your father and your mother" (Matt.15:4a). Is the Suicide Solution Becoming the New Norm? The "Elijah" church, hiding in the cave but being called forth, "will turn the hearts of the fathers to their children and the hearts of the children to their fathers, lest I come and strike the earth with a curse" (Mal. 4:6). Billy's relationship with Franklin provides a picture of a son rebelling yet rescued by his father's love. Additionally, Billy's outreach to an alcoholic George W. Bush caused him to rethink his relationship with Jesus, stop drinking then later declare Jesus to be "the person I most admire." Sons in the home and church need to honor their fathers, recognizing they are "blessed seed." For years, Franklin Graham drove an hour each way to spend weekly time with his dad. One of Donald Trump's strongest examples is that of his children loving him and boldly telling it to a watching world. Michael Brown reminded us that Barna Research showed 90 percent of evangelical Christians want to be equipped on today's issues but only 10 percent of pastors are will do so for fear of losing income and members. The Laodicean church ways must be renounced in our day and pastors must lead the way! Pastors must recalibrate to speak up and prepare people to speak confidently, and charitably on today's issues. This is why the Bullseye Challenge was endorsed by national leaders as a resource. We cannot pay tribute to Billy Graham while ignoring his courageous example of addressing controversial issues. In the '50s he personally removed barriers to integrate the seating in his crusades, confronting racism. In the battle for gay "marriage," he and Franklin defended marriage as between one man and one woman. Rather than ignore abortion, he emphasized upholding the sanctity of life. Finally, to ensure effective outreach to Muslims he dropped the term "crusade" in his ministry. In critical times, pastors can no longer see their role as simply a Bible teacher, encourager, or counselor. Revelation 21:8 reveals the first group cast into the lake of fire are "cowardly." Let's heed Billy's challenge, "When a brave man takes a stand, the spines of others are often stiffened." We concluded the Roundtable with prayer and singing the "Battle Hymn of the Republic" led by Tom Hess. Then Rick Joyner charged us, "To enjoy intimacy with Jesus, hear His voice and receive heaven's blueprint for these critical times, we must abide in Him on a daily basis. Revelation 3 reminds us that He is 'knocking' but to those who 'hear My voice and open the door', He comes to inhabit not merely bless." Having read Billy's autobiography, Just as I Am, I'm convinced that communion with God was central to his 70 years of fruitful and scandal-free ministry. Can't you almost see him bowing, with hands clasped in prayer, as he did at the end of every sermon when he extended the invitation to repent and be born again? Ronald Reagan said, "It was through Billy Graham that I found myself praying even more than on a daily basis ... to give me the wisdom to make decisions that would serve God and be pleasing to Him." From the Roundtable, there are other issues to highlight, perhaps in another article. Maybe it's best to pause and emulate Billy's example, clasp our hands in prayer and simply celebrate the life of this humble servant who now beholds his beloved Jesus face to face.